Let's say you want to create a About Us page for your parking site. How could this be done? If you have static content you wish to publish on your parking site, Custom Pages can help. Go to the custom pages management page and click on New Custom Page button and you will see a pop-up dialogue as shown in screenshot 1. 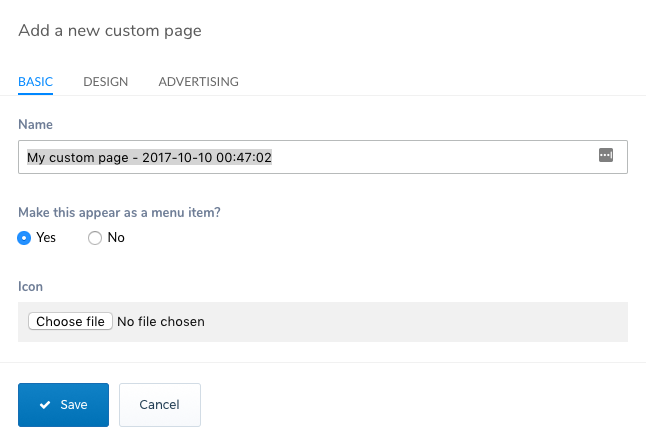 In the Basic tab, you can give a name for your custom page and you can also choose to make this custom page appear on the navigation area. if yes, you can also upload an icon for this custom page. If you select the design tab, you will see the dialogue pop-up as displayed in screenshot 2. 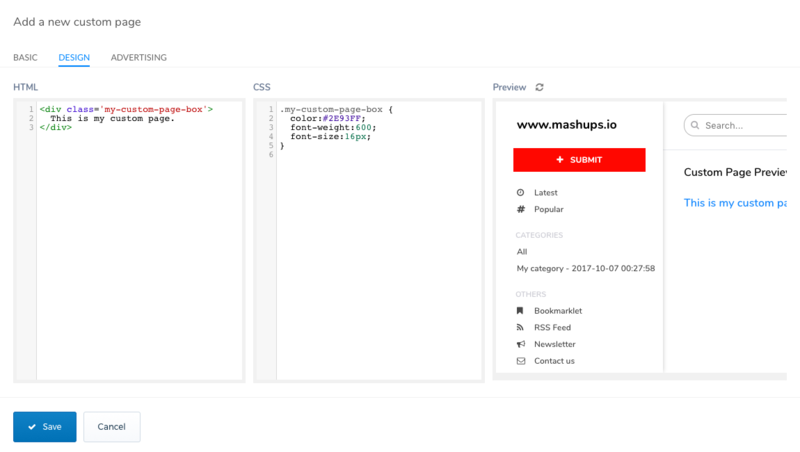 In this tab, you can type in the actual content of the custom page and you can also style it using CSS. Finally, the advertising tab is where you can place specific advertising items for the given custom page. The advertising items you specify here will override the advertising items you have selected in Monetization settings.